COMMANDER British Forces Cyprus, Major General Richard Cripwell CBE, hosted the launch of the Joint Educational and Training Services (JETS) Academy earlier this summer. The JETS Academy is a British Forces Cyprus (BFC) College for Further Education, specialising in providing high quality vocational training opportunities for dependants. The event, which also formed part of a wider UK-wide Adult Learning Week, celebrated the range of qualifications and opportunities available to military personnel, their families and base employees. Mrs Kerry Glover, Director of the JETS Academy, was awarded the City & Guilds Medal of Excellence from for her personal contribution to the success of the Centre. The medal recognises the achievements of lecturers who produce exceptional work – going above and beyond what is expected to achieve their goals. On the back of this, the JETS Academy was awarded City and Guilds Centre of Excellence status. As a recognised Centre of Excellence, learners will receive quality learning programmes and the ongoing support. 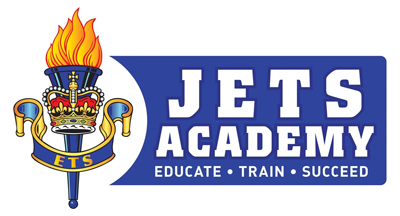 If you are based in Cyprus and would like to know more, visit the JETS Academy website for a copy of the latest prospectus at www.jetsacademy.ac.ukcall 00357 25962804 or visit their Facebook page.